On the top of the World...: “Christmas is a day that holds all time together”. “Christmas is a day that holds all time together”. 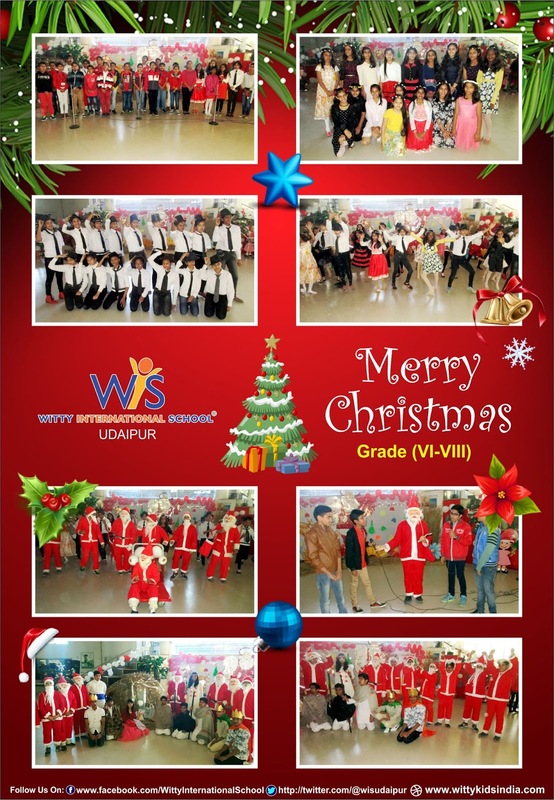 Christmas was celebrated in Witty International School, Udaipur with full spirit on 23rd December 2016 by classes VI – XII. 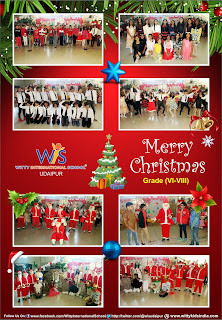 Students of Class VIII presented a wonderful play depicting the birth of Lord Jesus in a unique and interesting manner. Students dressed in red and white danced to the tune of various Christmas songs and enlightened everyone about their significance and association with Christmas celebrations. Students sang Christmas carols and were given muffins by Santa Claus. In keeping with the Christmas spirit, the whole school wore a festive look and was tastefully decorated. The students dressed in their party clothes enjoyed thoroughly and imbibed a message of loving, caring, sharing and respecting all as was preached by Jesus himself.